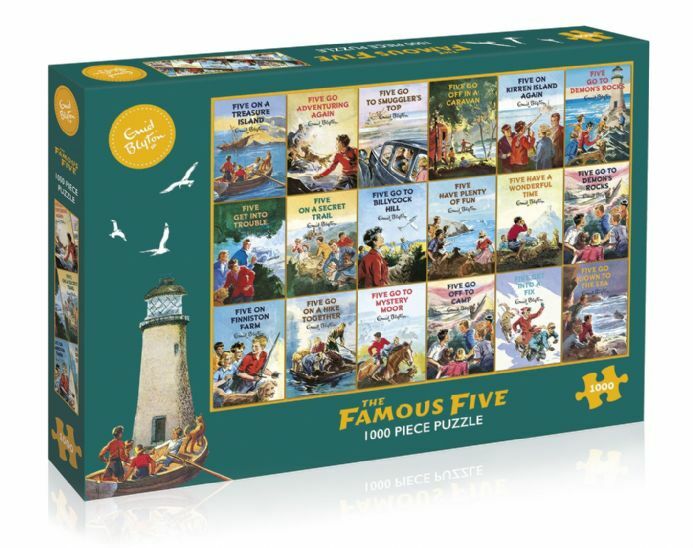 Classic book from The Famous Five feature on this great 1000 Piece Jigsaw. Five on a secret trial, Five go off in a caravan, Five get into a fix, plus loads more !. High quality 1000 piece Jigsaw Puzzle size 48x68cm when complete. Made from thick, durable puzzle board that is 100% recycled. 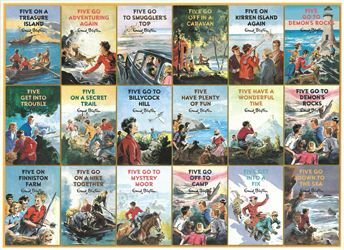 Enid Blyton is one of the world’s bestselling children’s authors. Her books have sold over 500 million copies and have been translated into other languages more often than any other children’s author. She wrote over 600 books and hundreds of short stories that have delighted children for generations. 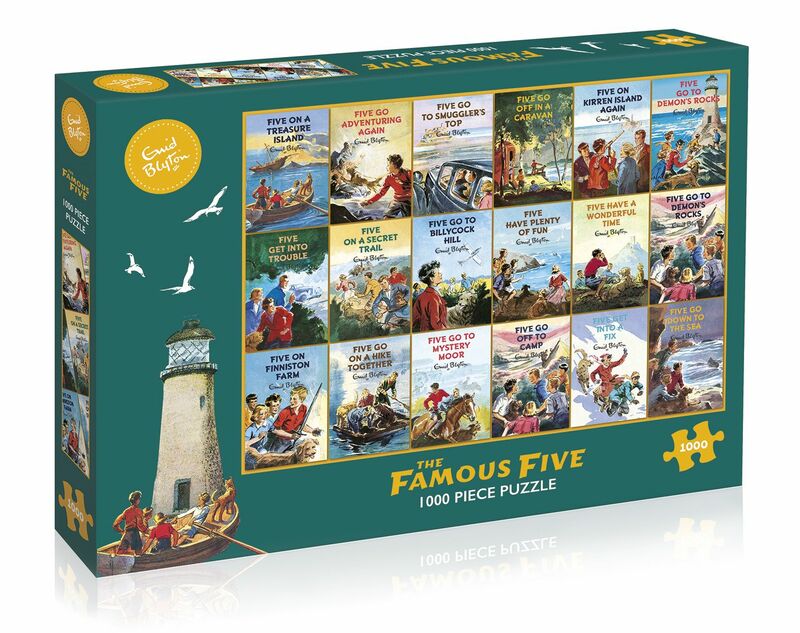 The Famous Five stories, now 75 years old, are her most popular and celebrate the timeless themes of adventure, heroism and friendship.